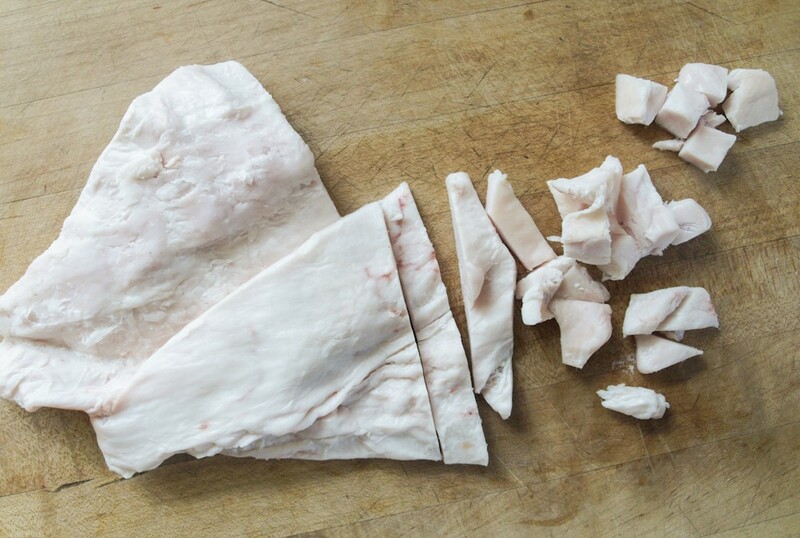 Leaf lard is traditionally revered for baking. Our 90 year old neighbor tells of when he was a child his mother baked two pies every day for him and his 8 siblings to devour, and she always used lard in the crust. This product is not rendered, so you will need to take that step (it's not hard) if you want to bake with it. Here is a very good explanation about the ins and outs of lard and how to render it. Our butcher packs leaf lard as it comes out of the pig and some pigs have much more than others, which means the packages vary in size a lot. When you order this product please leave us a note informing us approximately how many pounds you want and we'll do our best to get close to that number of pounds. Our pigs live on beautiful central New York pastures. To find out more check out our methods.